This is some bummer truth: Gillian Anderson is officially leaving "The X-Files"
The truth may still be out there, but it seems Agent Scully is no longer looking, because Gillian Anderson has officially confirmed that she’s leaving The X-Files — with no intention of ever returning. 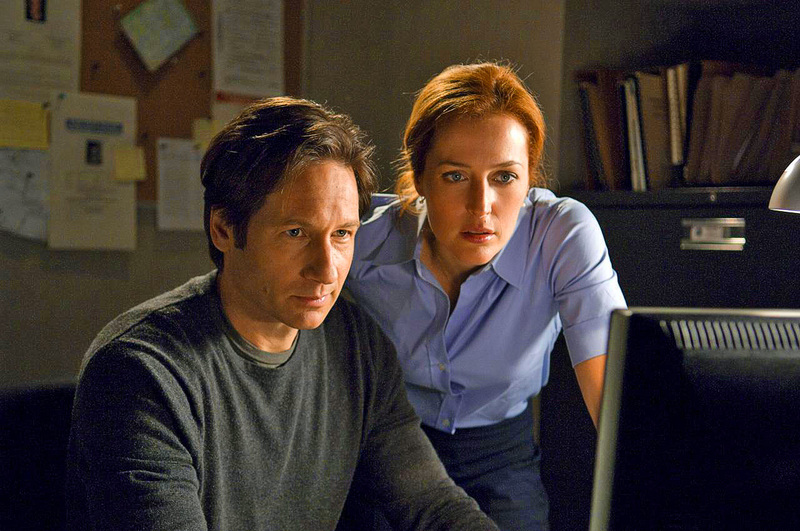 Anderson revealed that her decision to walk away from Scully and The X-Files for good actually came before she shot Season 10, which aired in 2016. The actress told the press that she wouldn’t have been happy for Season 10 to serve as a definitive end for her character and opted to stay on for the 11th season, currently airing on Fox. "I arrived at the decision before we did the previous six, but I was really curious. I felt that the previous six was going to be it. It was dipping our toe back in again...and getting to play these wonderful characters again," Anderson said. "I think as [series creator] Chris [Carter] has said himself, that short stack of episodes felt like we were learning how to walk again and that this season of 10 feels like the pace is up and we're running." But while Anderson will soon be leaving Scully behind for good, she added that she’s “grateful” to have been able to play such an iconic and beloved character. In addition to confirming her departure from The X-Files, Anderson also revealed that she would not be returning to American Gods for a second season, following the departure of series showrunners Bryan Fuller and Michael Green from the Starz drama due to budget disagreements. "I'm not doing any more American Gods," Anderson said. "Bryan and Michael Green aren't either, as has been announced." While it’s certainly been a difficult week for Gillian Anderson fans, who undoubtedly looked forward to seeing her on TV screens in two series, we can’t wait to see what she does next because, let’s face it, Anderson never disappoints in portraying complex, dynamic women.